It's been just about ten years since France In Your Glass closed its doors. Here's a look back, courtesy of International Travel News. The punchline, of course: "And that's how I met your mom." PARIS--After 15 years of elegant travel through the most prestigious vineyards of France, hosting hundreds of curious and thirsty wine lovers from around the world and earning honors from the French government and wine societies alike, wine journalist Ronald Holden is hanging up his tastevin. He's returning to home base in Seattle, USA, and shifting his focus to a new public-relations venture, Cornichon Communications. Holden's new venture, Cornichon, is named for the French gherkin. "So much corporate food and beverage writing is simply dull. My aim is to be fresh and crunchy," Holden riffs. "Words you can taste. Text that bites back. Prose with relish." His target clientele is small business owners in the food and beverage industry who offer an alternative to fast food chains but can't afford giant ad agencies. "The folks who provide quality and taste, who go up every day against the Big Macs of the world, deserve professional help when it comes to communications." Holden certainly has the background. A Yale graduate, he spent 20 years in journalism, as a TV reporter, anchorman, news director; as editor of an urban news-weekly, and as a restaurant critic. He worked in corporate PR for a number of years, and ran his own agency, Holden Pacific, before turning to wine and travel writing. He published a series of wine-country guidebooks, then launched France In Your Glass, a boutique travel company that pioneered the concept of luxury trips hosted by international wine experts. "Ronald's upscale trips opened privileged doors at the top estates," notes British wine authority Michael Broadbent, who regularly participated in private weekend seminars for Holden's international guests. He takes pride in what France In Your Glass accomplished, opening the clubby French wine trade to consumers. "Many people in the luxury wine trade have a rather dim view of their customers, the people who buy, collect and drink their wine. I wanted to help break down those barriers." Mae-Eliane de Lencquesaing, who owns one of the top Bordeaux estates, Château Pichon-Lalande, agrees. "Because he spoke French and understood France, Ronald was the first American to whom we entrusted the privilege of bringing foreign guests into our homes. 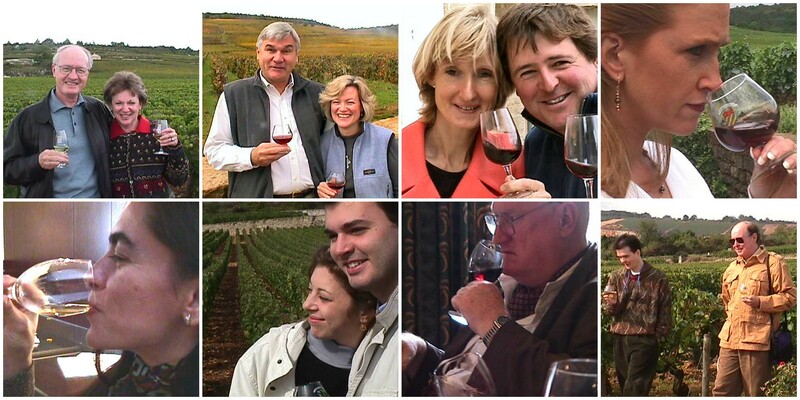 And we turned his clients into ambassadors for our wines." The new venture won't be as cushy as five-star hotels and Grand Cru bottles, but Holden seems ready. "I think I know what it's going to take," he says with a smile. "Solid credentials and fast typing. Bring it on." I look forward to watching what comes next! This page contains a single entry by Cornichon published on April 21, 2013 9:00 AM. From Tyler's lips to mine was the previous entry in this blog. Rishi's Kitchen Nightmare: Dinner and a Show is the next entry in this blog.